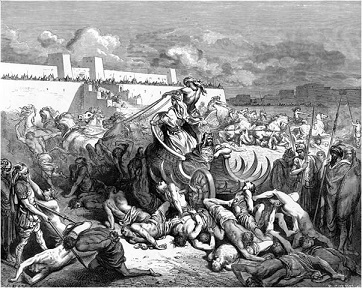 Civil War - Several men of the tribe of Benjamin raped a woman in the city of Gibeah. She later died (Jdgs 19:25-30). When the other 11 tribes of Israel learned of the incident, they sought justice and demanded that the guilty be handed over. When the Benjamites refused, the incident escalated into a civil war between Benjamin and the other 11 tribes.